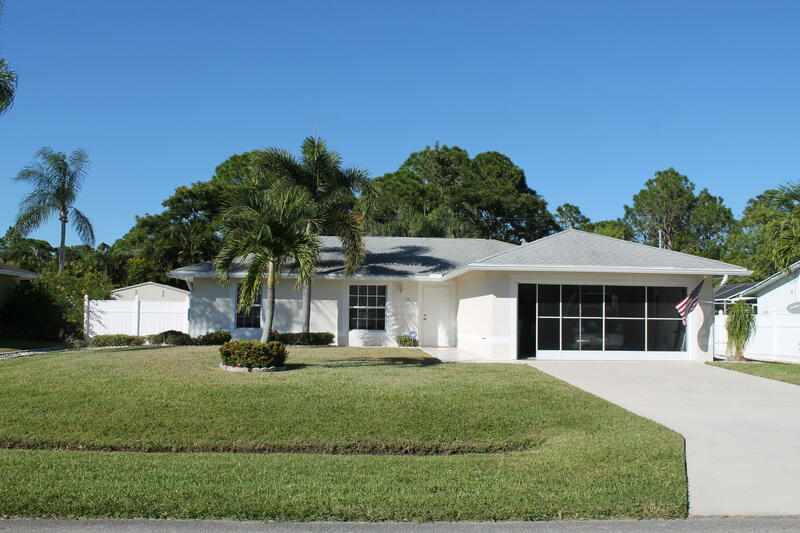 This beautiful home features 3 bedrooms, 2 bathrooms, 2 car garage sitting on a little under a quarter acre with a gorgeous palms that provides excellent view in the front yard. This home boasts a spacious split floor plan that includes a Dining , living and breakfast area. The house has title, the kitchen very spacious, the house has a lot amenities : the screened patio room, The property includes a storage utility in the spacious back yard which is completely fenced in. and beautiful landscaping palms. The hot water heater was recently installed in 2016, A/C was replaced in 2017, gutters, garage door screen, alarm, irrigation system (city water); Just come seller very motivated!! !